A tiny cold front came through last night! It was 65 degrees this morning and wonderful. 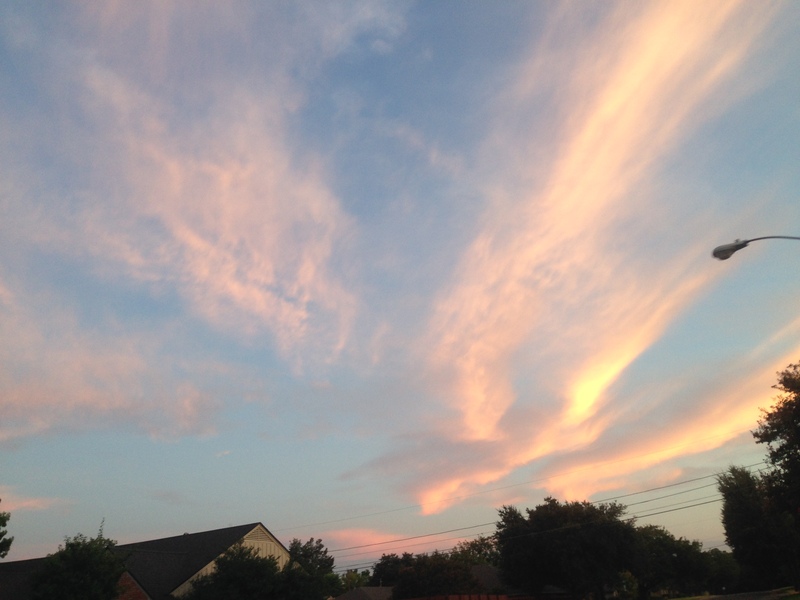 I’m sad it won’t last but I am grateful for this little taste of fall in Texas. Fall weather always has me craving soups. One of my go to soup recipes is an adaptation from The Pioneer Woman. Normally, some of her recipes are a little too Paula Deen if you know what I mean (butter in everything! 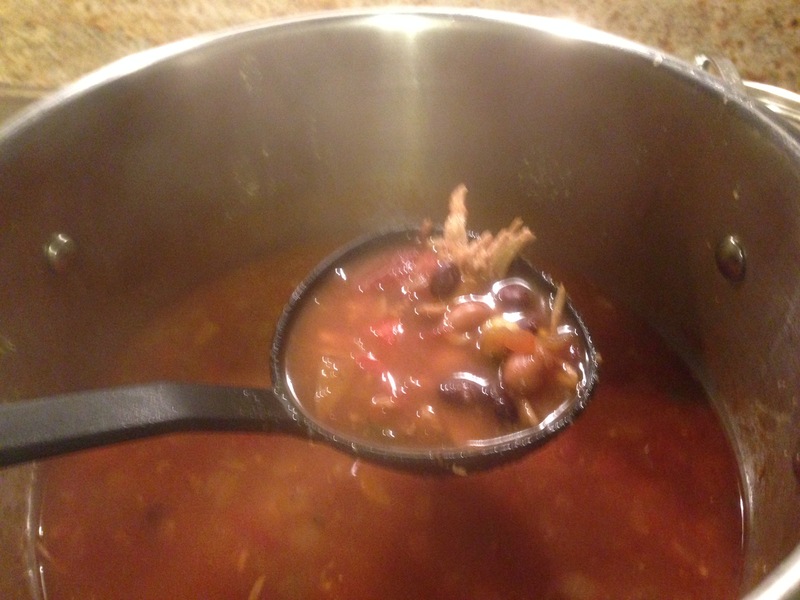 ), but this soup is hearty and healthy from start to finish. I love that the base of this soup is fresh veggies. I think some zucchini would work well in this recipe also. Now, let’s pretend I didn’t forget to take a picture of the chicken. Don’t blog when you are hungry! That’s the lesson I learned. For the chicken, take two breasts and season with 1 1/2 teaspoon cumin, 1 teaspoon chili powder, 1/2 teaspoon garlic powder, and 1/2 teaspoon salt. Drizzle both chicken breasts with olive oil, cover both sides with most of the seasoning, and bake in a 375 degree oven for about 20-25 minutes, or until done. Then just shred and set aside. 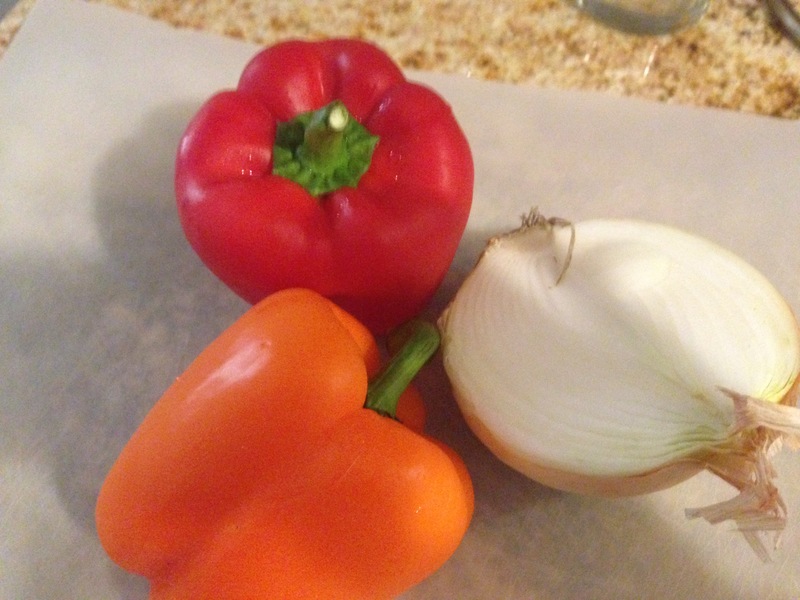 For the veggies chop 1/4 cup of each color bell pepper, or more if you like, and half an onion into tiny pieces. Mince 2-3 garlic cloves. Saute them in 1 tablespoon olive oil until tender and slightly brown. If you want a bit more spice, add in half of a finely diced jalapeno. Add in the remaining seasoning over the veggies during the last couple minutes of cooking. Toss in your shredded chicken, give it a good stir, then add in the following: 1 can of tomatoes with diced green chilies, 32 oz of organic low sodium chicken broth, and beans. I went with one can of black beans and one can of pinto. Stir to mix, then add in 3 tablespoons of tomato paste. This gives it a nice rich flavor. Once all combined, add in four cups of HOT water. Bring it to a boil, then let it simmer for 45 minutes. This would be a great time to take a nice long walk and enjoy the cooler weather. By now, your house will smell amazing. Mine definitely did! Now, to thicken the soup a bit, and to give it an awesome extra layer of flavor, mix 3 tablespoons of cornmeal with water. Stir this mixture into you soup. 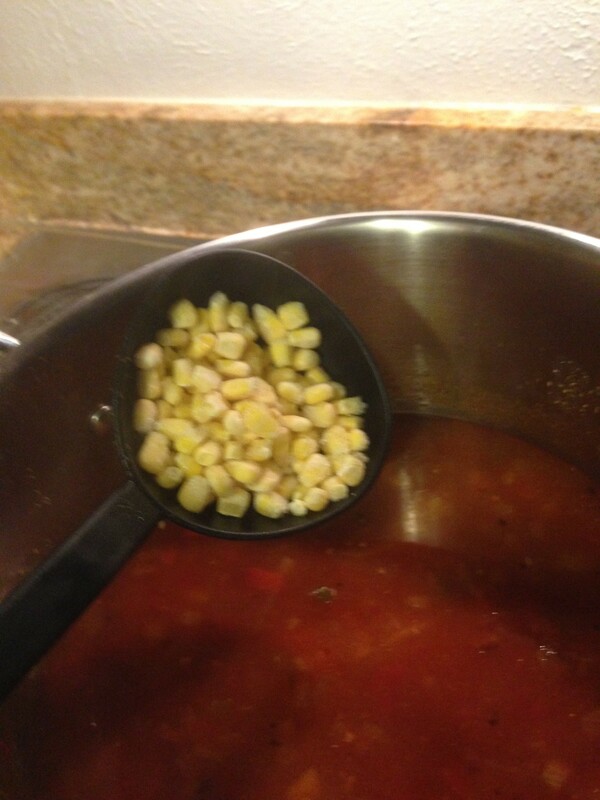 I also chose to add in some frozen corn at this point. Why not? Now let your soup simmer for 30 more minutes, and then sit for 15-20 off of the heat. This will allow all the flavors to come out a bit more, and you also won’t burn your face off trying to eat it. Both good things. 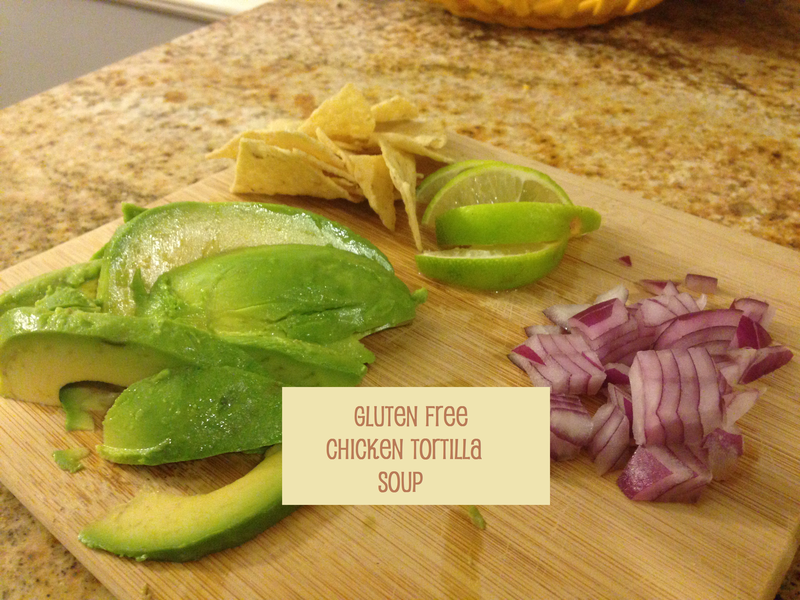 At this point, you can also add in strips of tortilla into the soup! For me, I prefer to crumble a couple of tortilla chips on top. Along with a bunch of other yummy toppings. 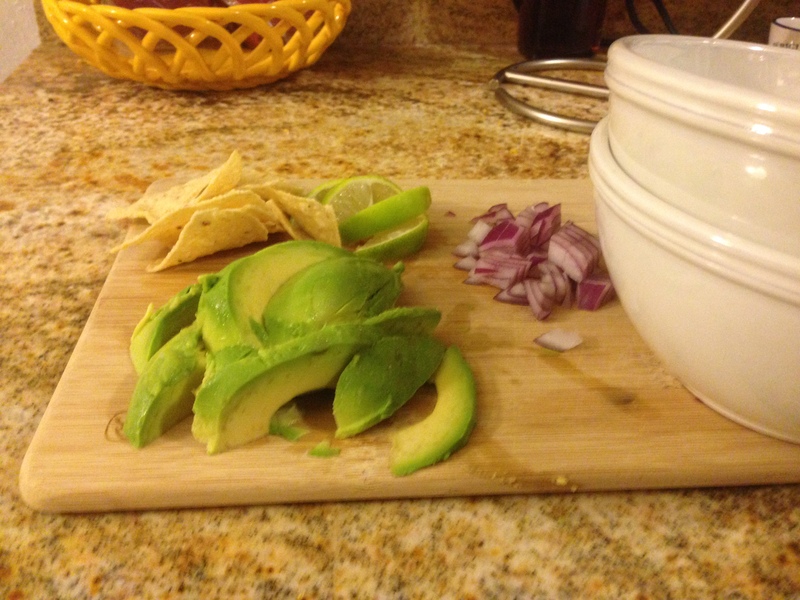 I think a couple of fresh avocado slices and some finely diced red onion work really well for this soup. During the last 30 minutes of cooking, I also made some gluten free cheddar jalapeno cornbread. I will send that recipe out soon! Drizzle chicken breasts with olive oil and put seasoning on both sides. Bake for 20-25 minutes until done. Shred and set aside. Saute bell peppers, onion, jalapeno, and garlic in olive oil over medium heat until tender. Sprinkle remaining seasoning during last few minutes of cooking. Once veggies are tender, add in shredded chicken and stir. 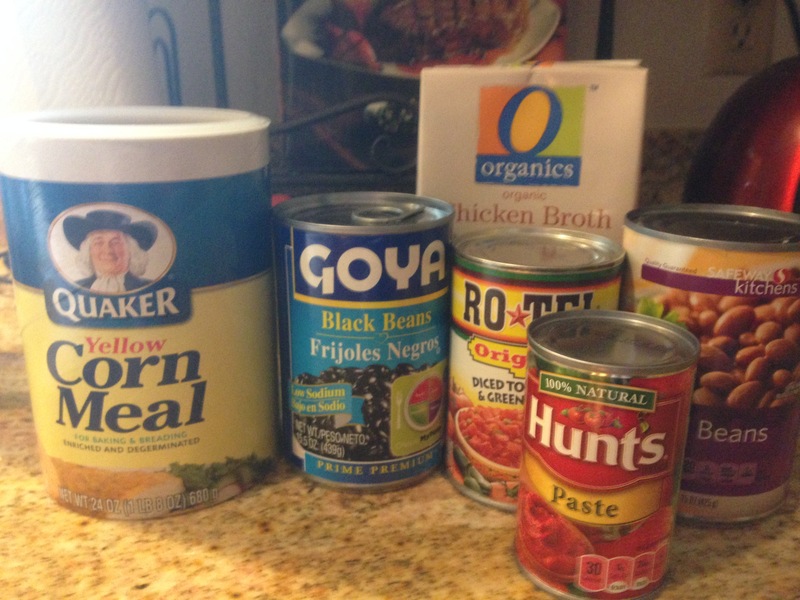 Pour in Rotel, chicken broth, water, beans, and tomato paste. Bring to a boil, then simmer for 45 minutes. 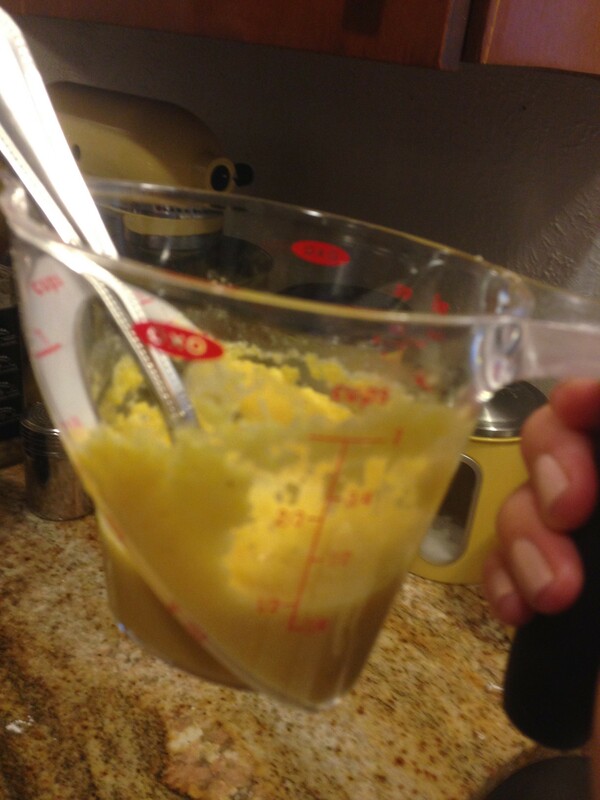 Mix cornmeal with a tiny amount of water, then stir into the soup. Let it simmer for an additional 30 minutes. Before serving, let soup cool off of heat for 20 minutes. Next postGluten Free Cheerios are here! Thanks Selene! This is definitely one of my go to recipes for fall.